Cleaning services are the need of everyone living in any region, country or city. 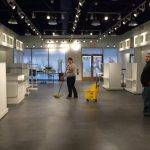 Everyone needs cleaning services to clean its house, office, condominium, office, newly constructed building, surrounding of premises and many more cleaning services are required by customers. Ménage total is the leading cleaning company which is providing you all of these cleaning services in Montreal, Laval, Longueuil and Mirabel cities. We are offering our best cleaning services on different kinds of agreements to our customers. 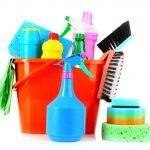 We are offering you continuous or daily cleaning services, weekly cleaning services, and monthly cleaning services. We are the leading cleaning company in Montreal, Laval, Longueuil and Mirabel cities. Our customers are 100% satisfied with our cleaning services. Ménage total is providing the entire range of cleaning services demanded by customers. Whether it is house cleaning services, apartment cleaning services, janitorial services, the entire housekeeping services, office cleaning services or any other types of cleaning services. Ménage total is offering you the best house-keeping services in Montreal, Laval, Longueuil and Mirabel cities to its customers at quite nominal rates. 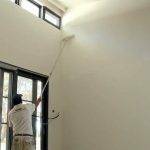 We clean each and every portion of your house including the ceiling cleaning, roof cleaning, lawn cleaning, walls cleaning and floor washing services. We are offering you the best carpet cleaning services. Our professionally trained cleaning staff cleans the carpet and wash in with health-friendly detergent and soaps. We use warm water in washing the carpet to make it clean and germs free. Ménage total is also offering you the best lawn cleaning services in Montreal, Laval, Longueuil and Mirabel cities to our residential and commercial customers. We trim the grass form your lawn and make it a peaceful sitting place for you. Our cleaning team reseeds grass where it is needed. They grow plants there in your lawn and cut the branches of plants which give the awkward look of plants.